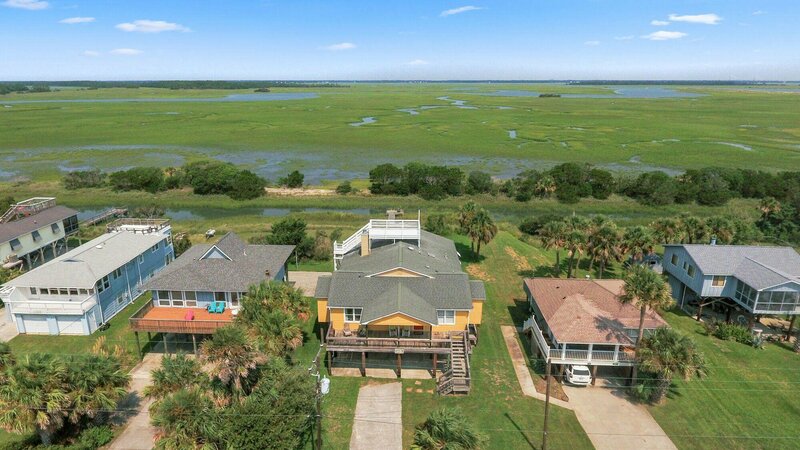 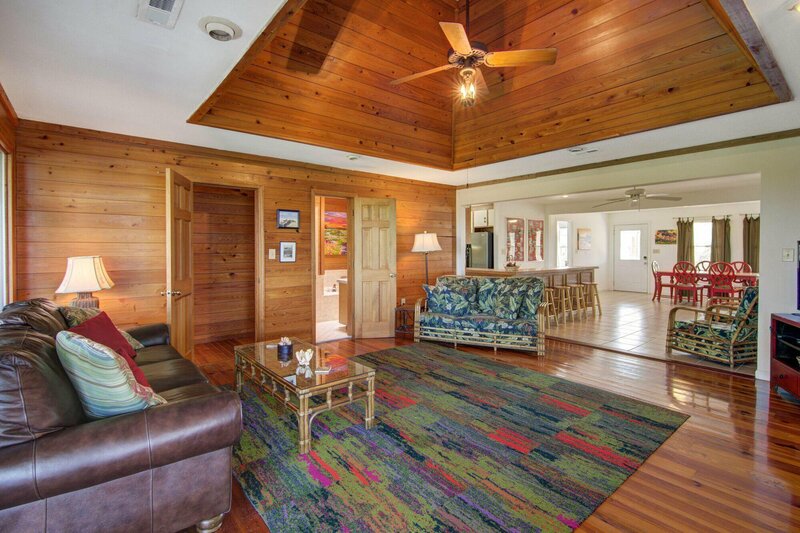 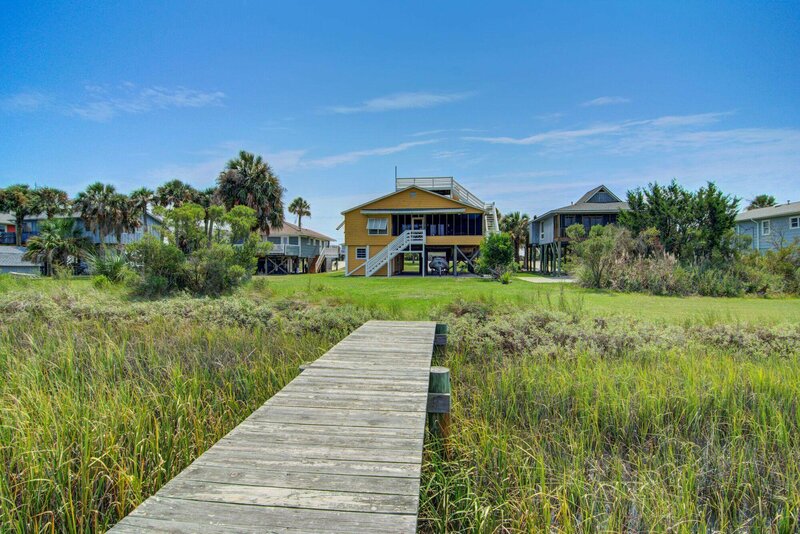 Welcome to The Marsh House on Folly Beach's east side of the island. 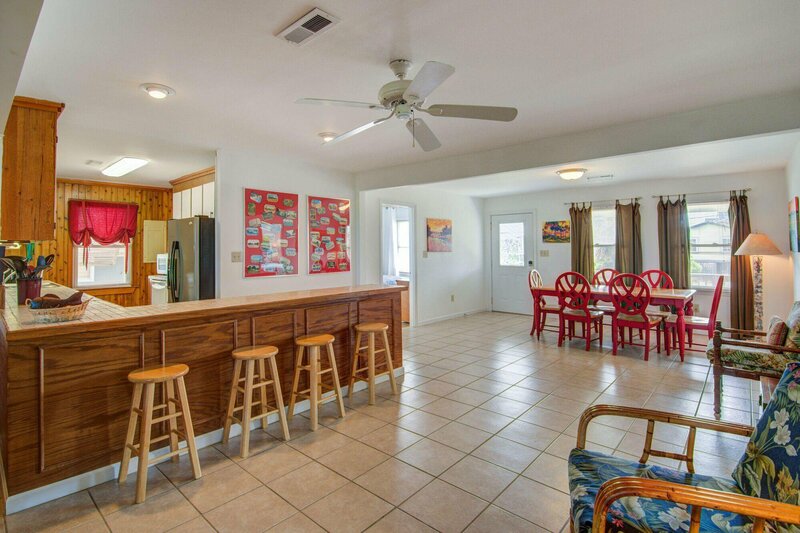 This wonderful 5 bedroom 3 bathroom raised home has everything that you could ask for. 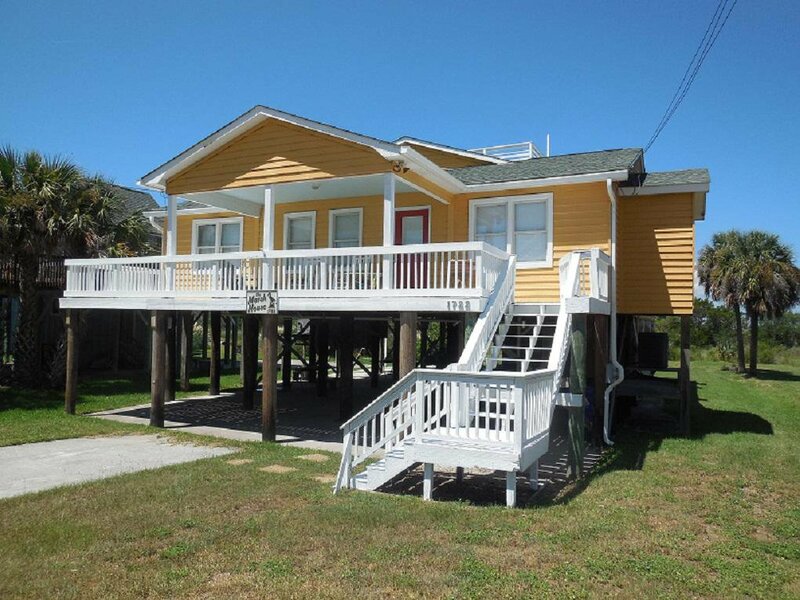 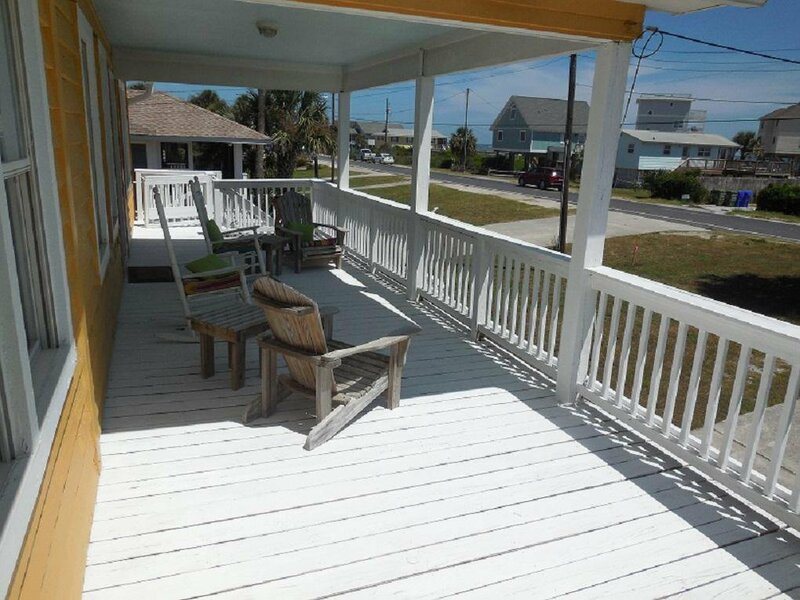 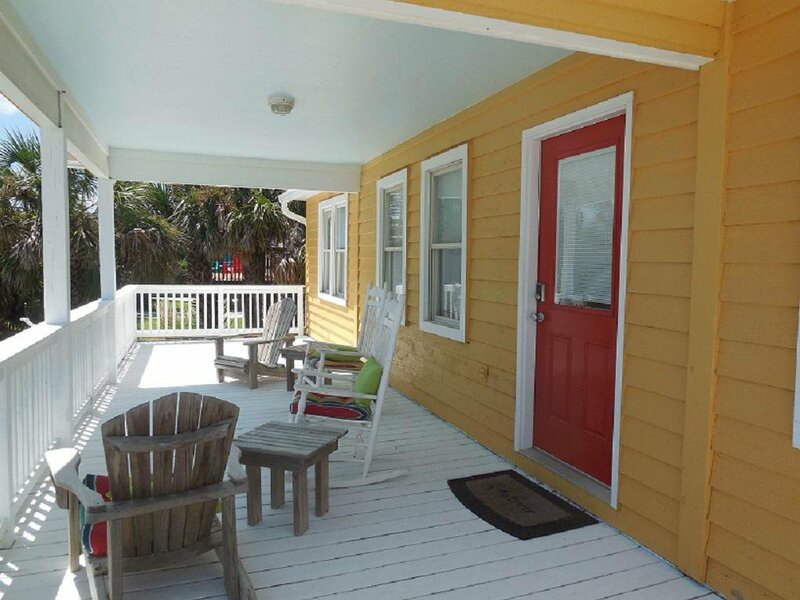 Walk up to the extra large front porch offering excellent ocean views. 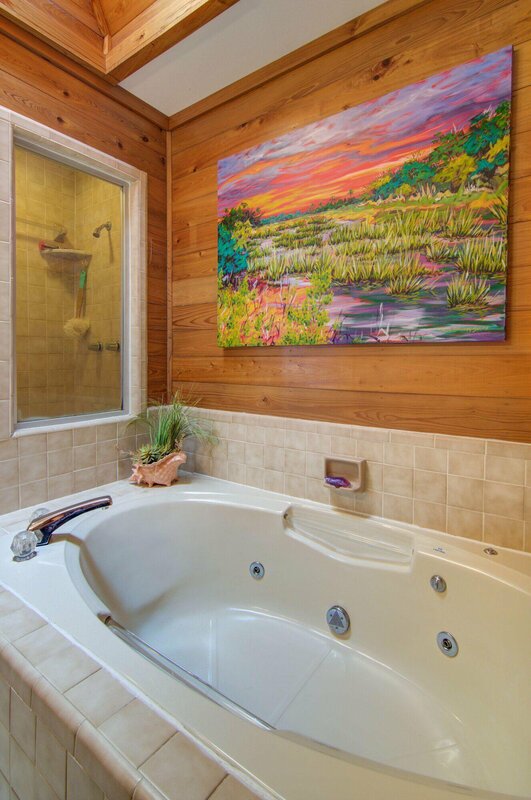 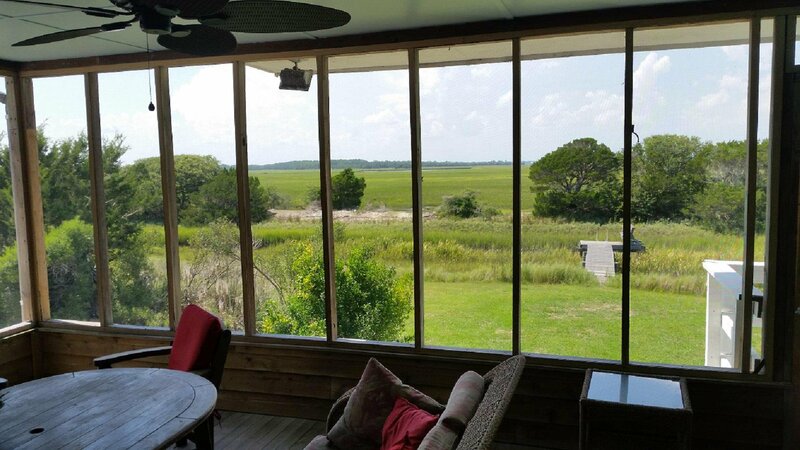 You enter the house to a perfectly picture framed view to the rear of the gorgeous marsh and river. 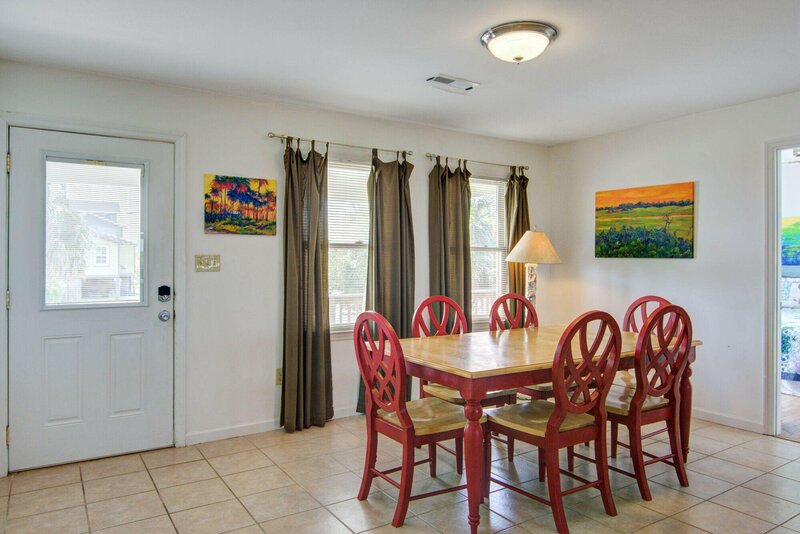 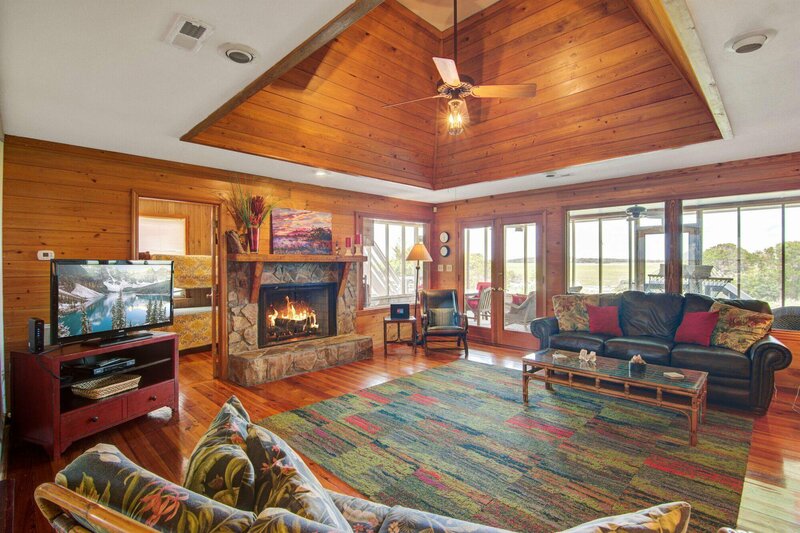 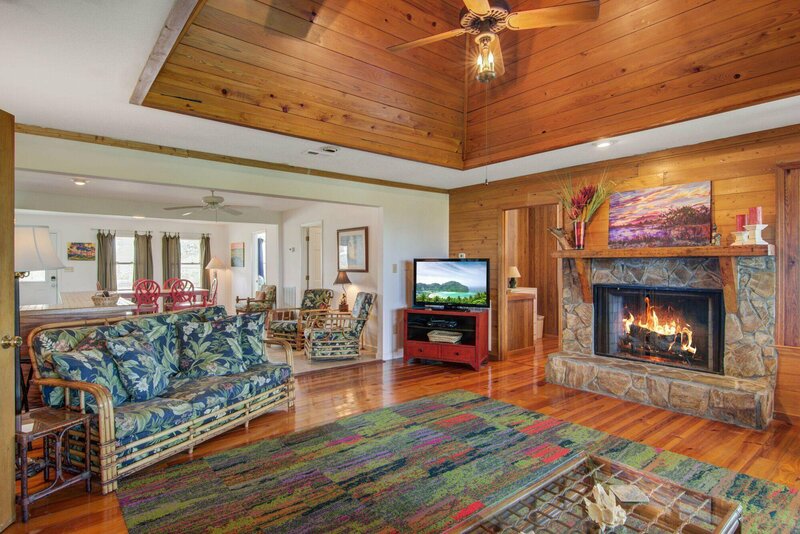 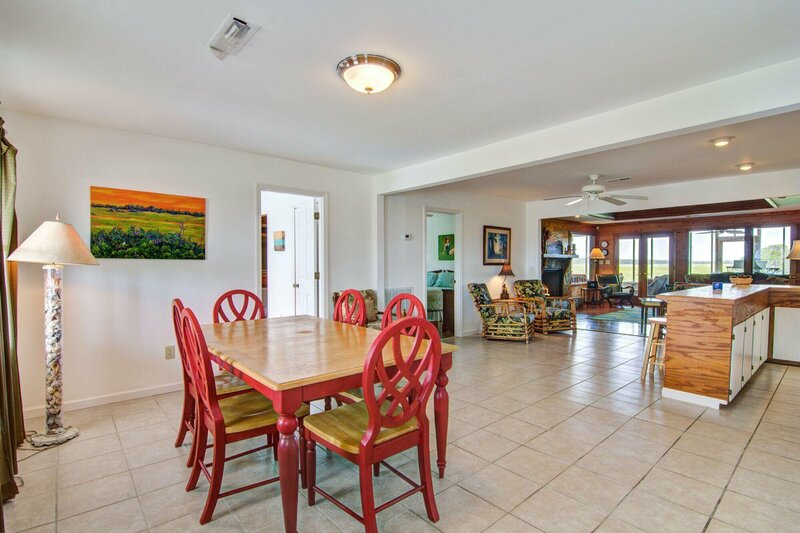 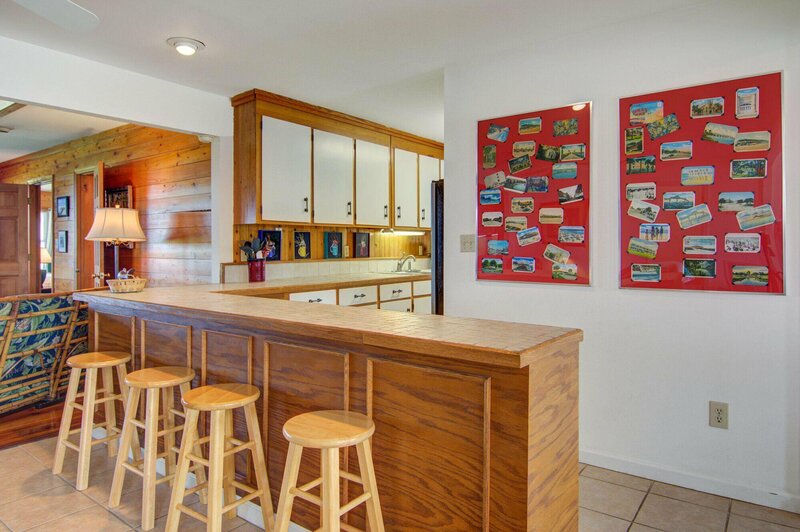 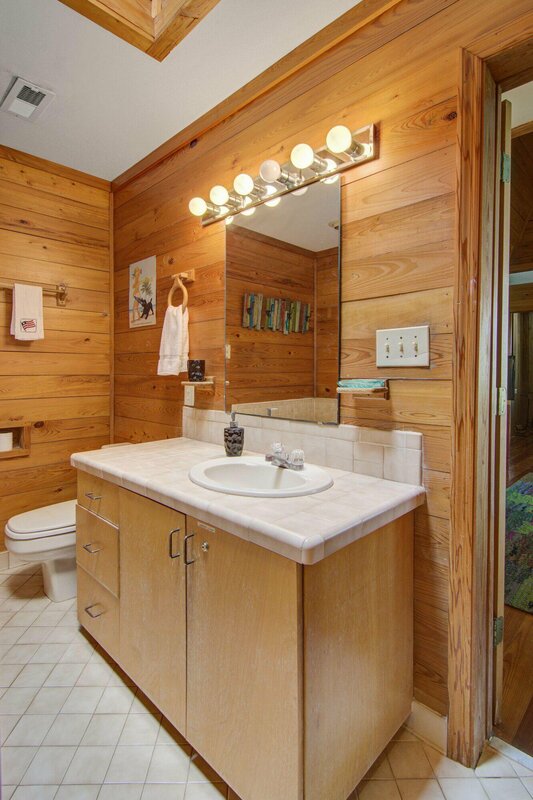 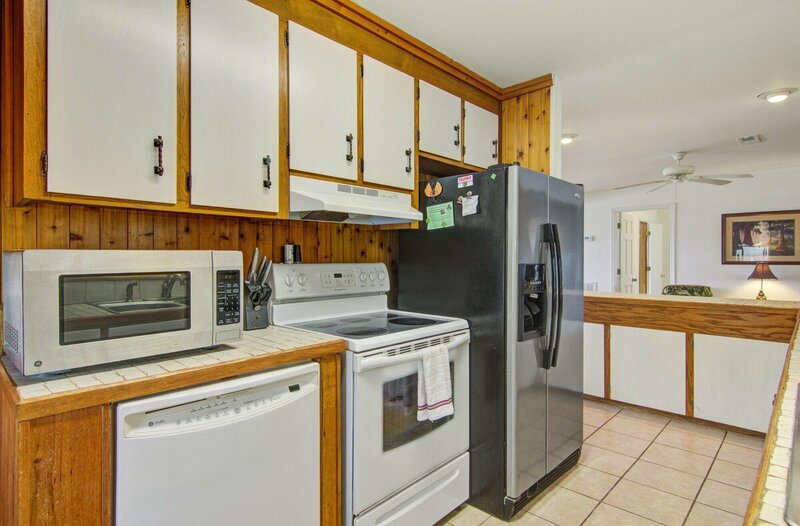 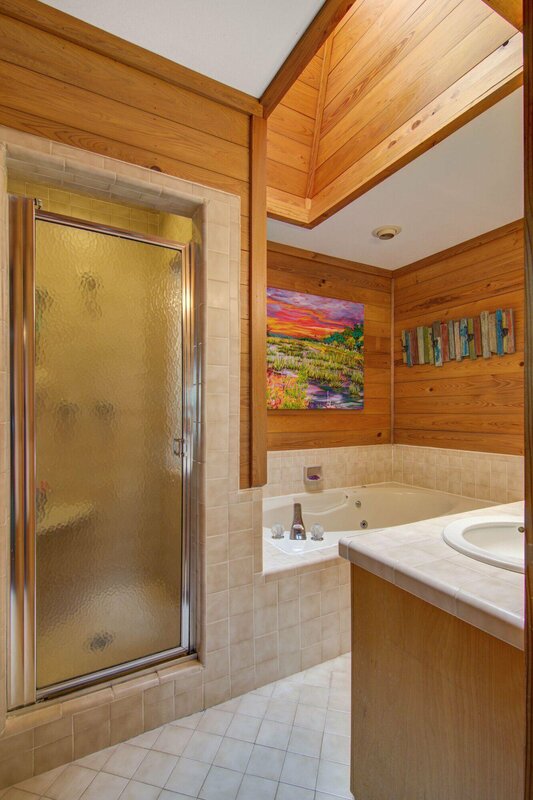 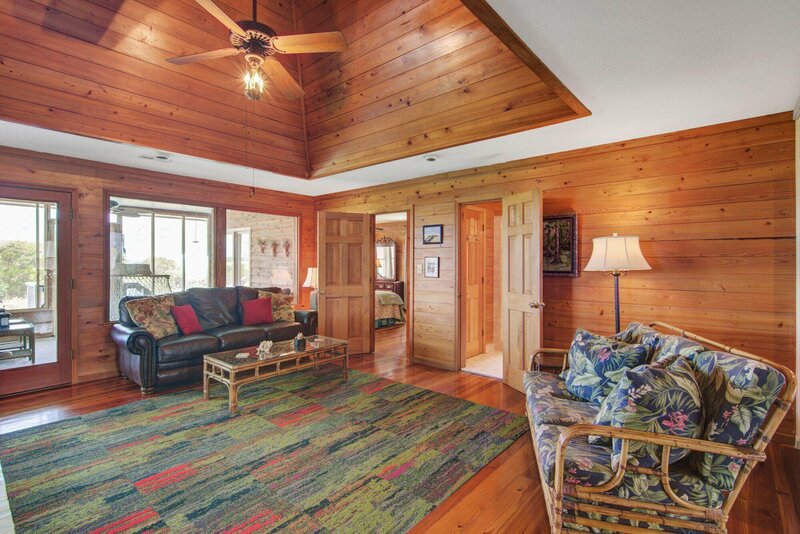 Your open living room has wood walls, raised ceiling and sits next to a spacious kitchen. 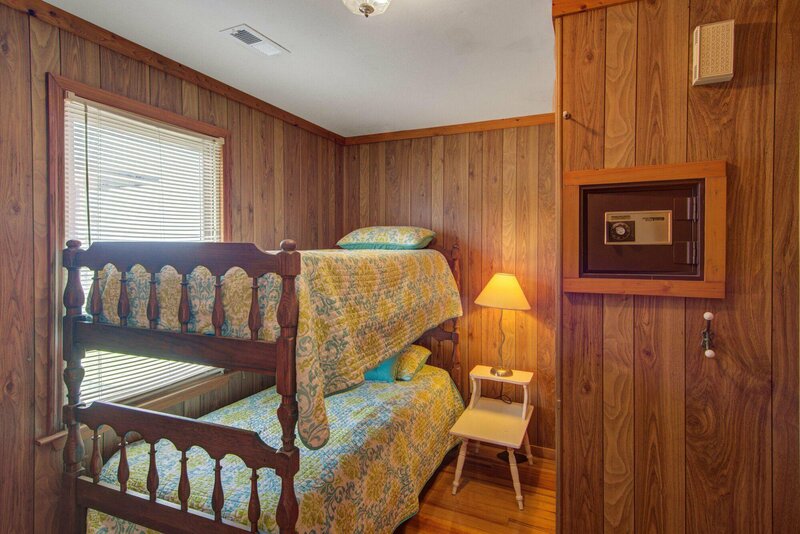 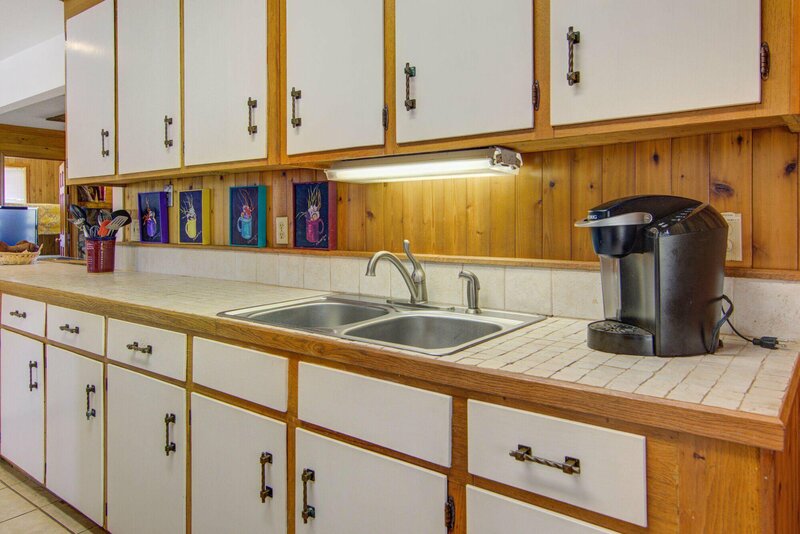 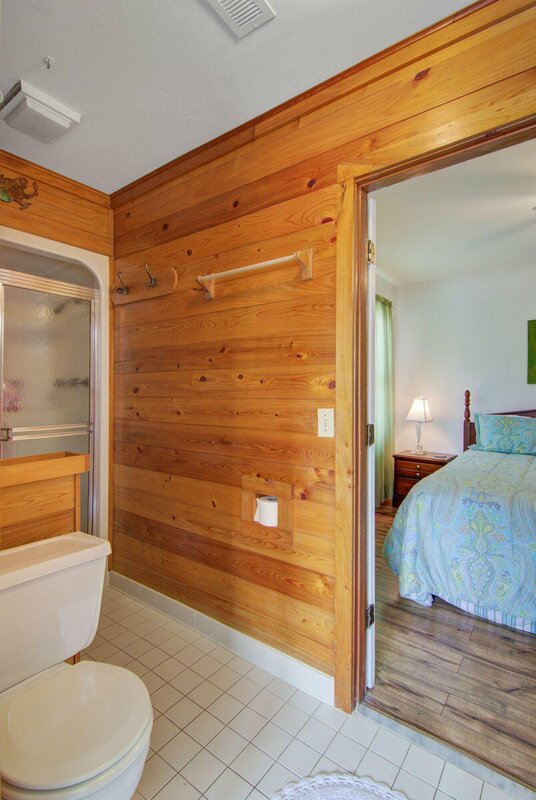 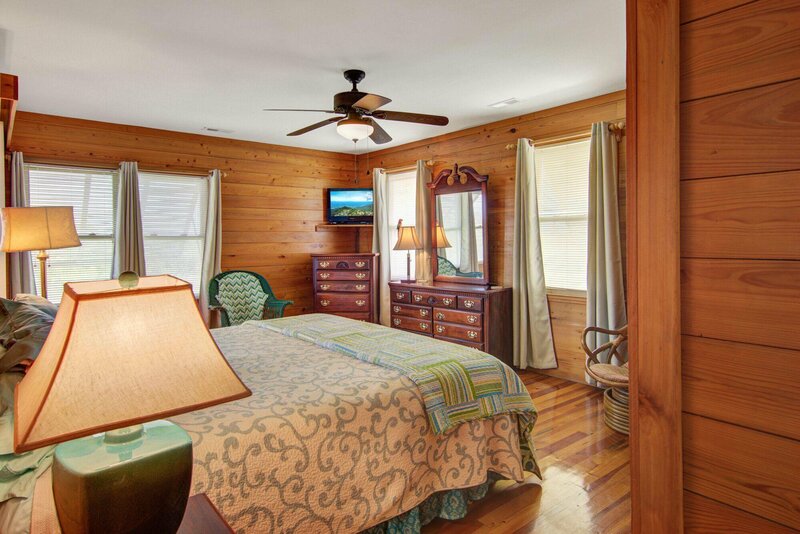 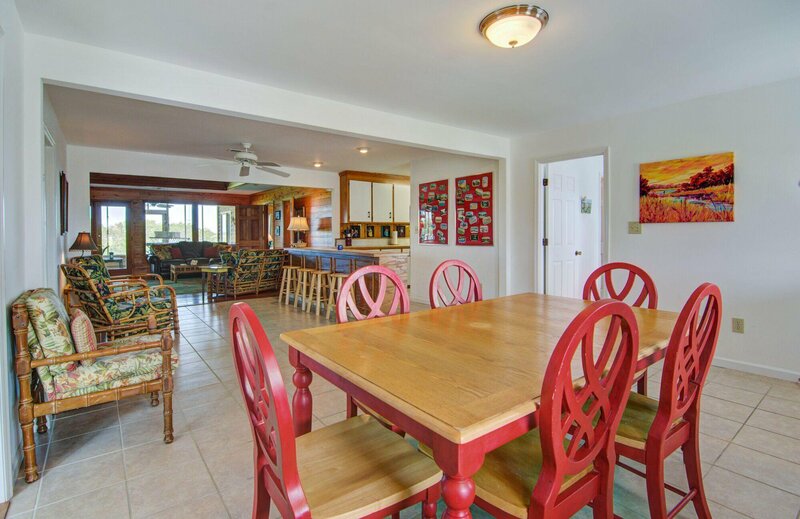 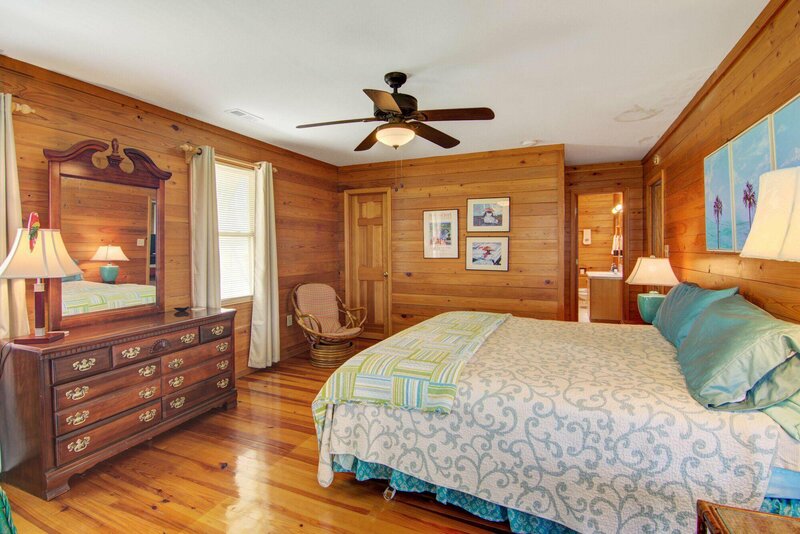 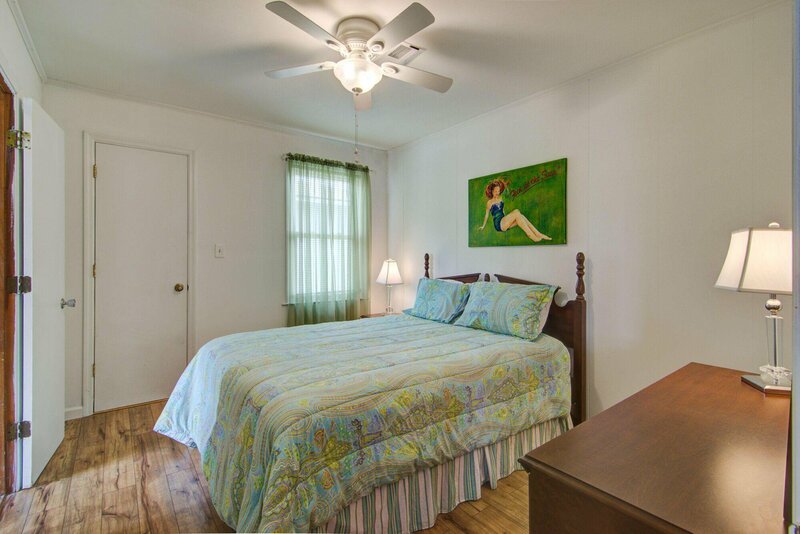 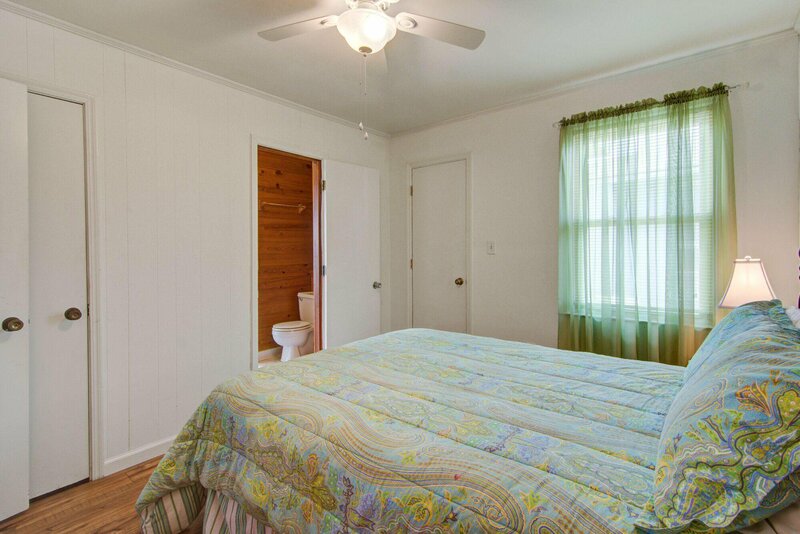 5 bedrooms, all with extra large closets provide plenty of room for family, friends or rental guests. 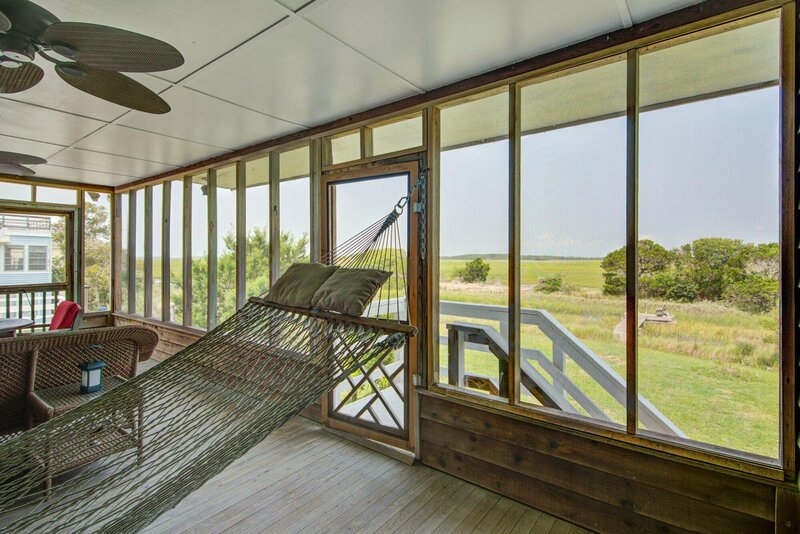 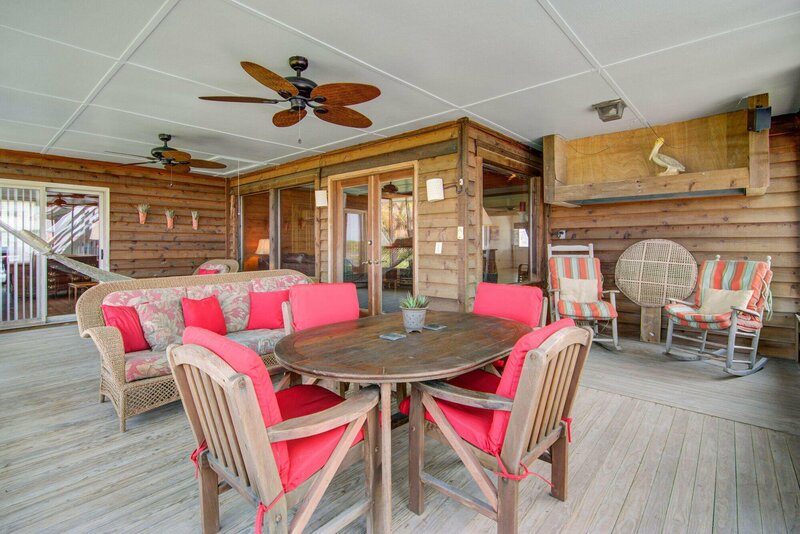 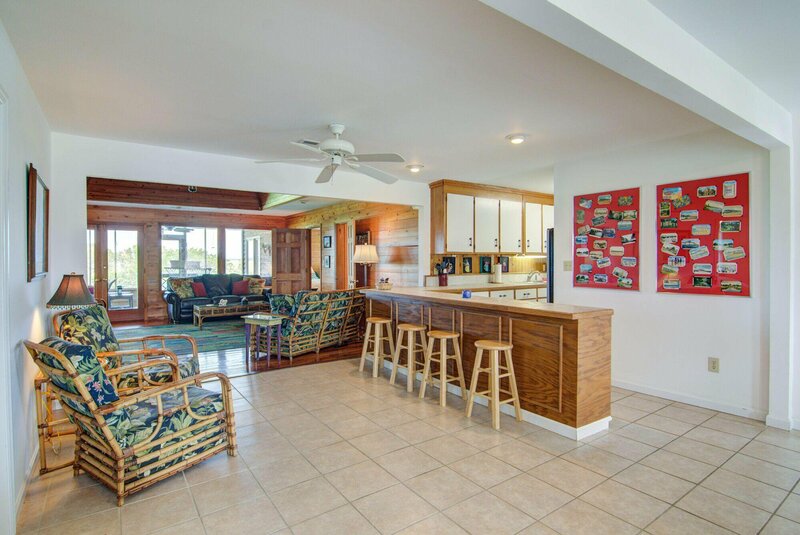 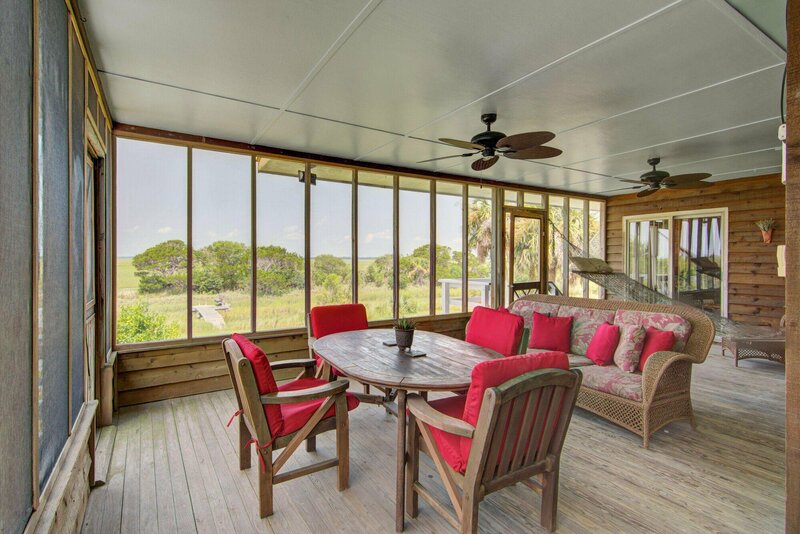 Step out onto the unbelievable rear screened porch. 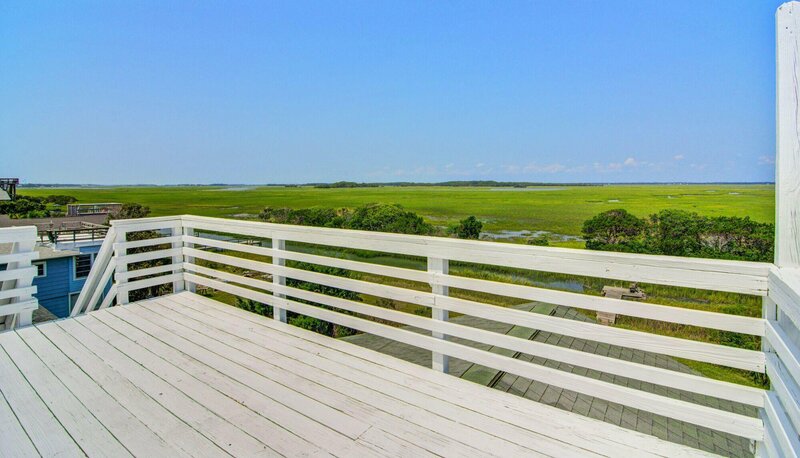 This extra large porch overlooks stunning panoramic views of the Folly River and gorgeous marshes. 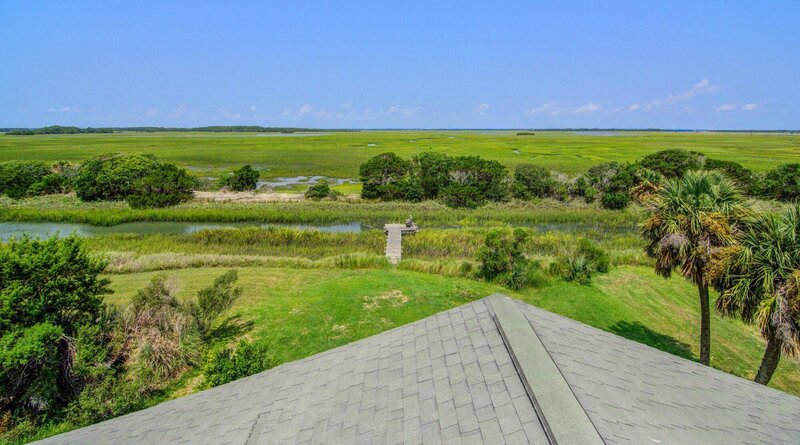 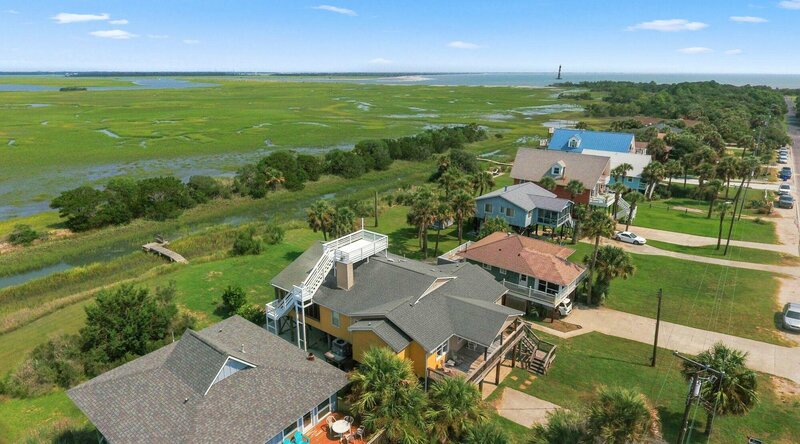 The home also has a wonderful rooftop deck offering 360* views of the ocean, the Morris Island Lighthouse & Charleston harbor. 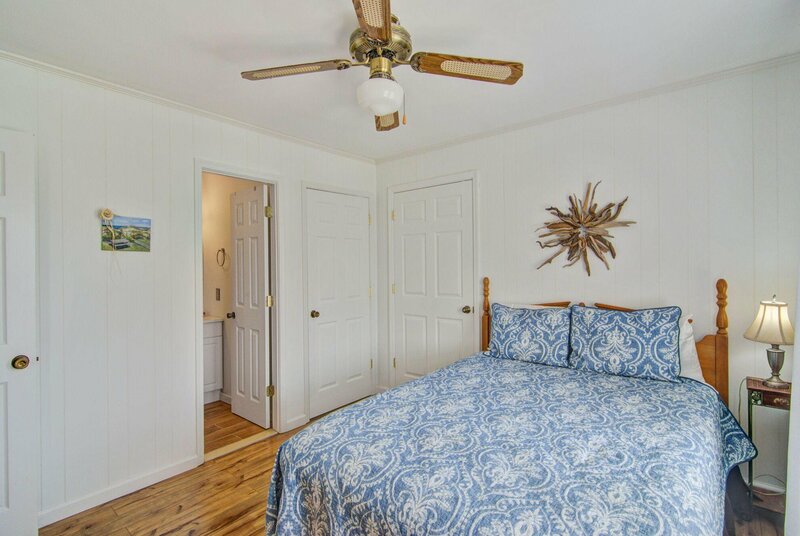 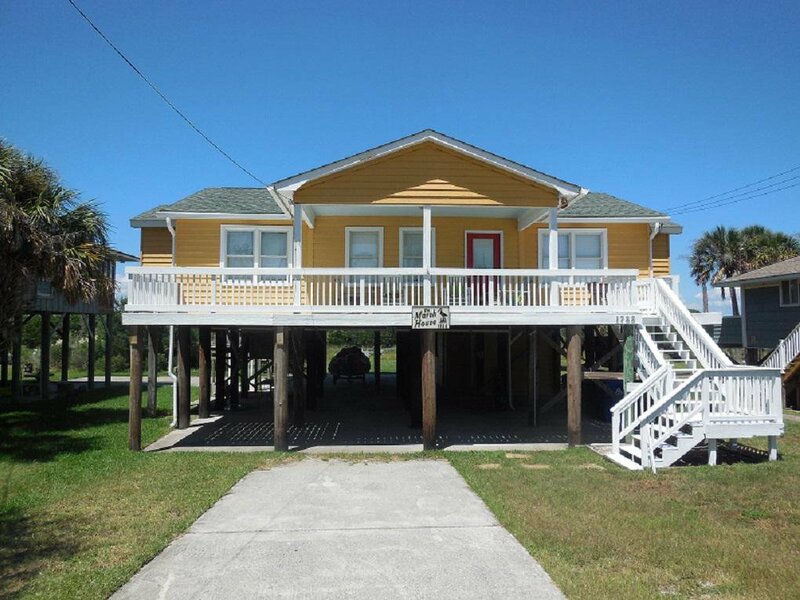 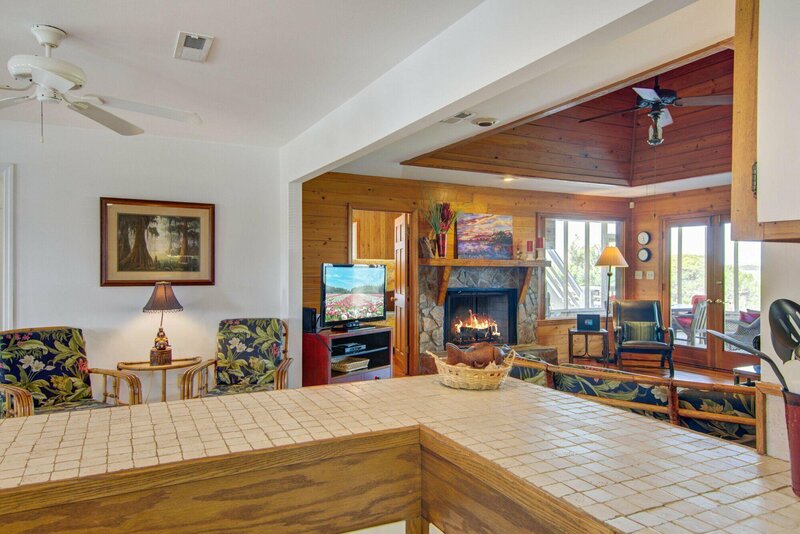 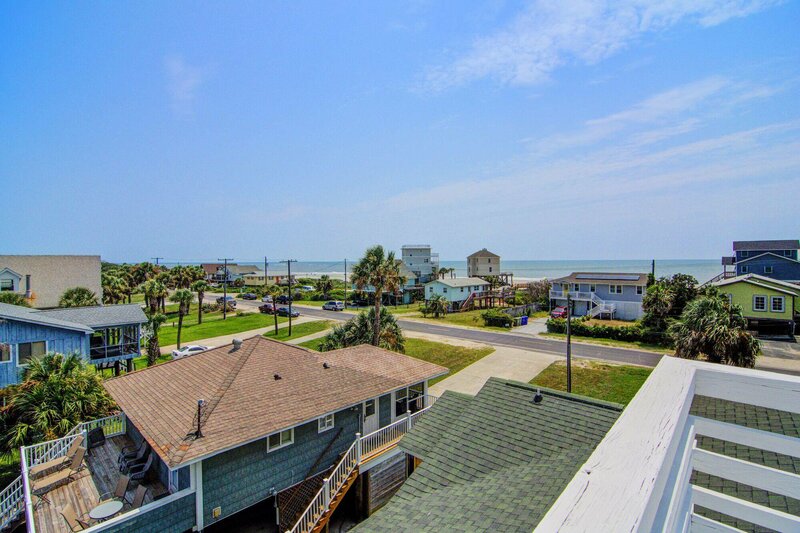 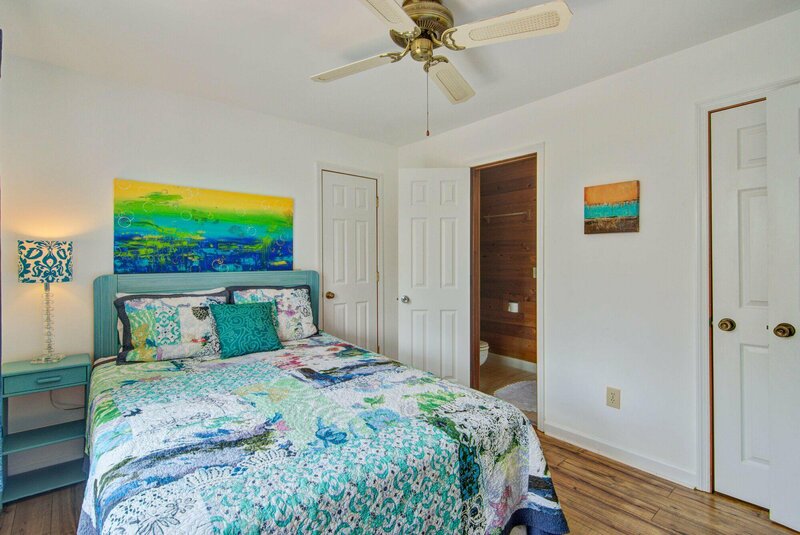 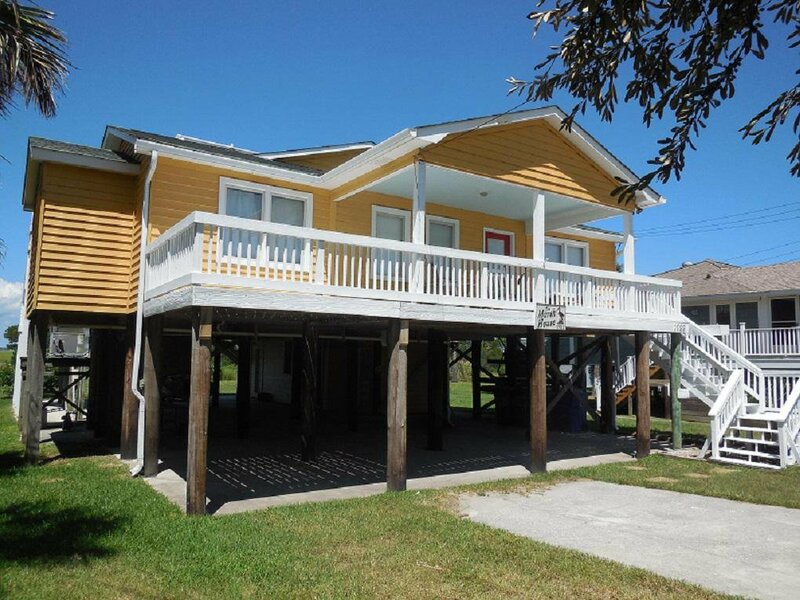 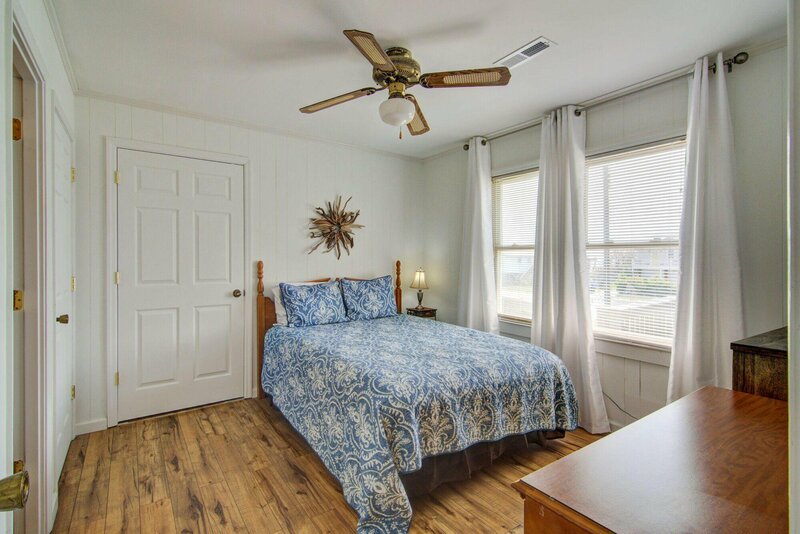 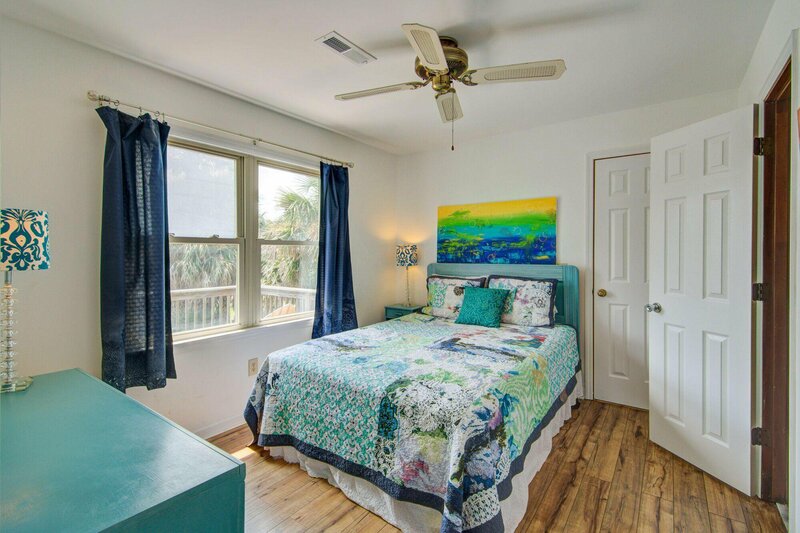 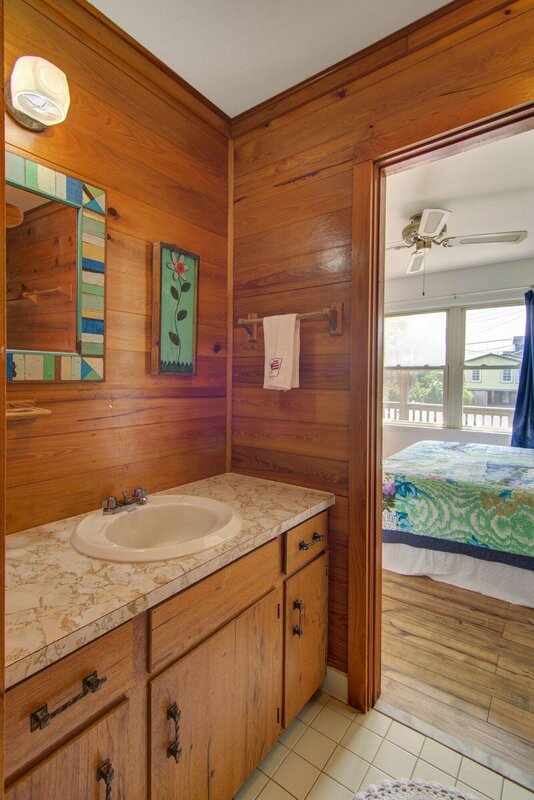 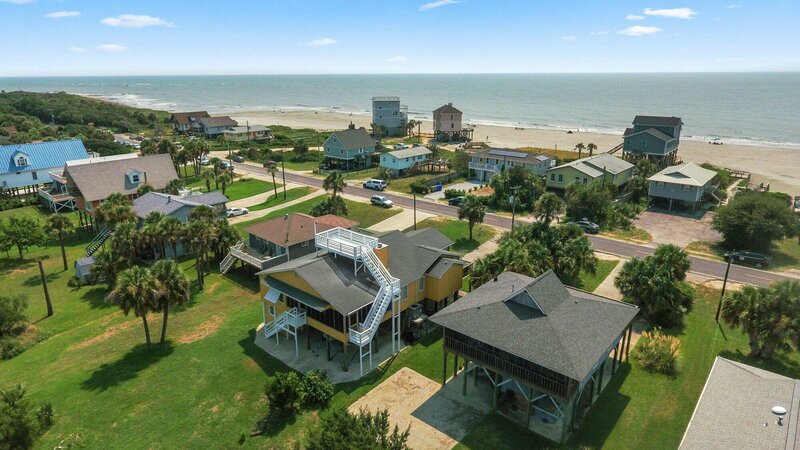 This wonderfully maintained home has most recently been used strictly as a 2nd home until this year but would make a wonderful primary home on Folly Beach as well. 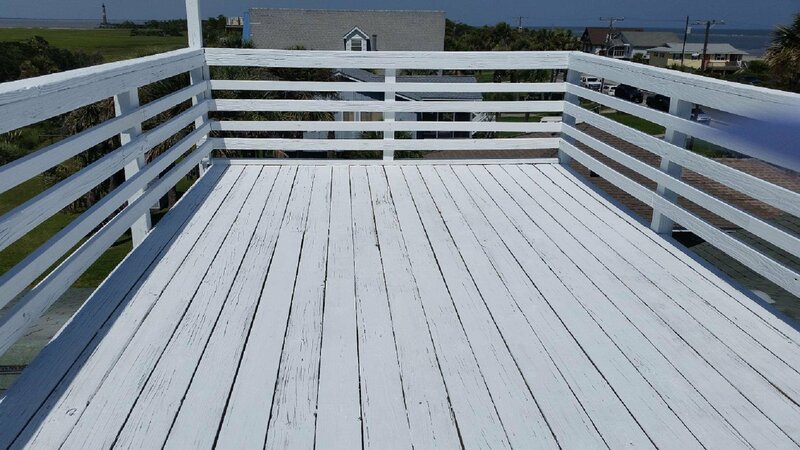 All decks and screened in porch have been recently painted. 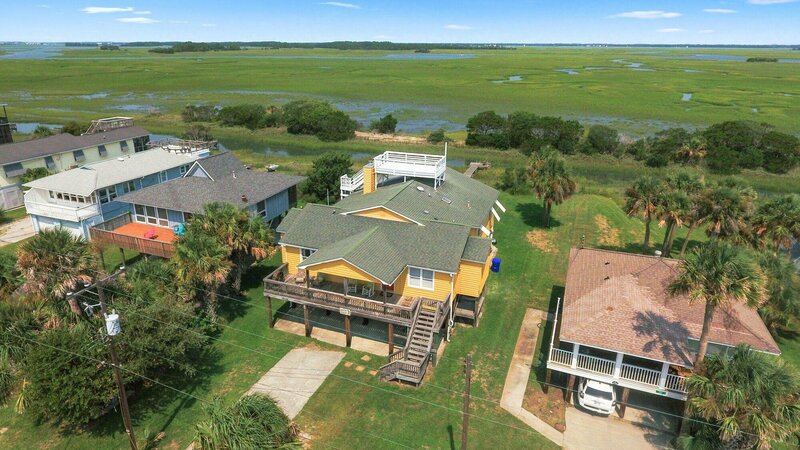 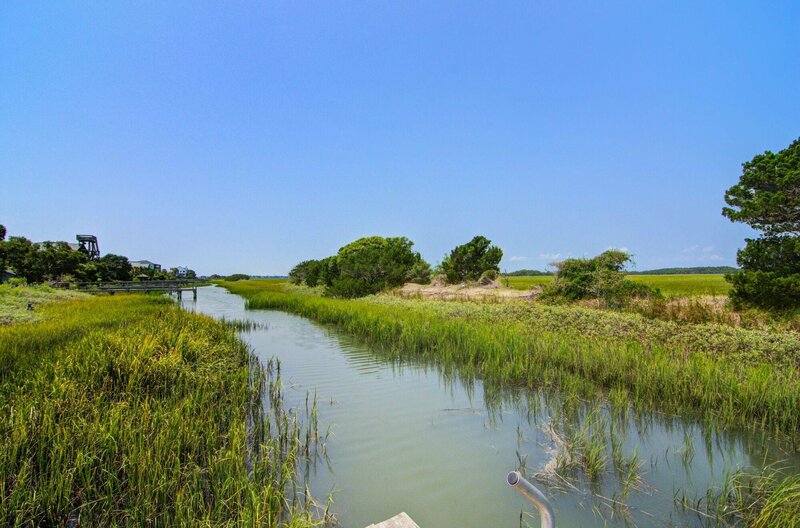 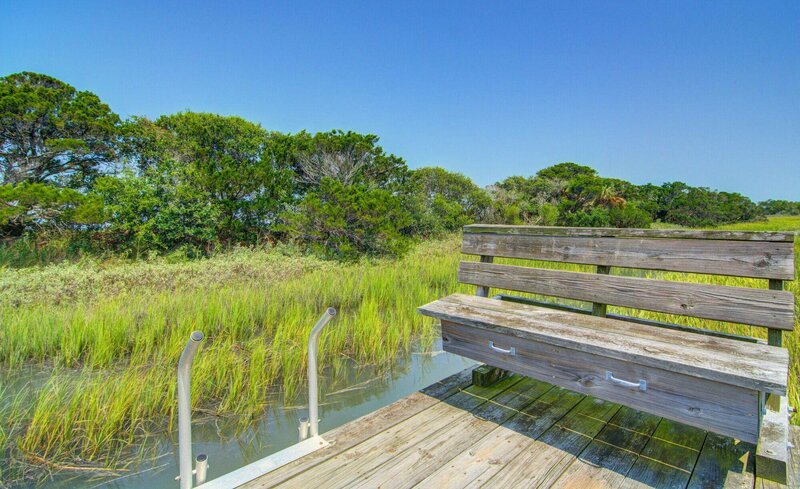 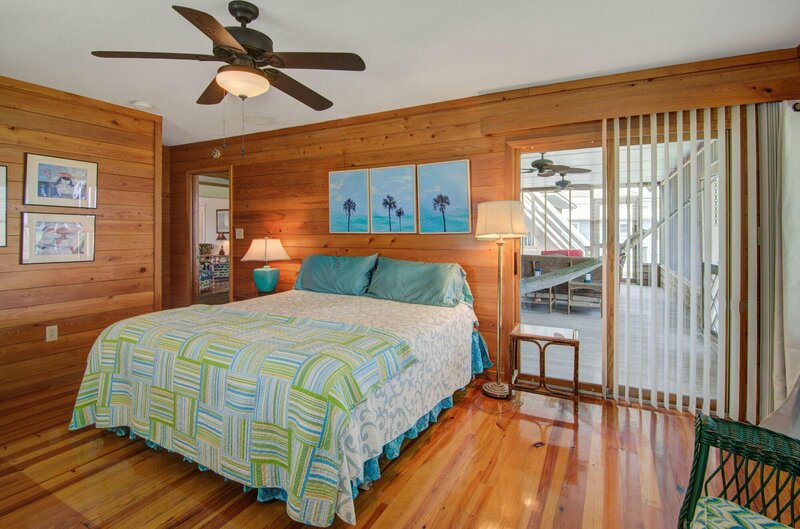 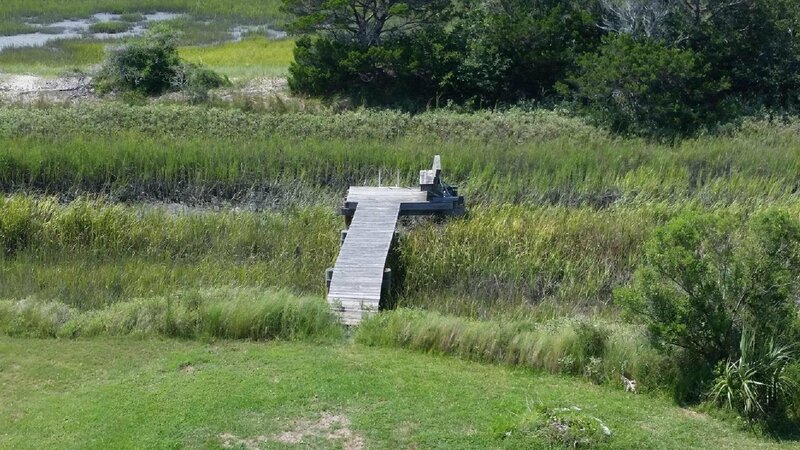 Launch your kayaks, paddle boards or small John Boat directly off your own private dock on the tidal creek behind this home. 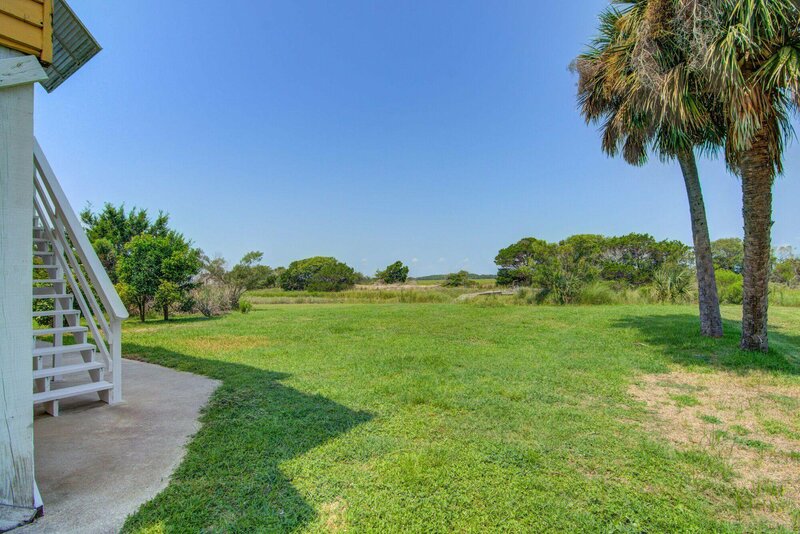 The lot is plenty large enough to add a pool as well. 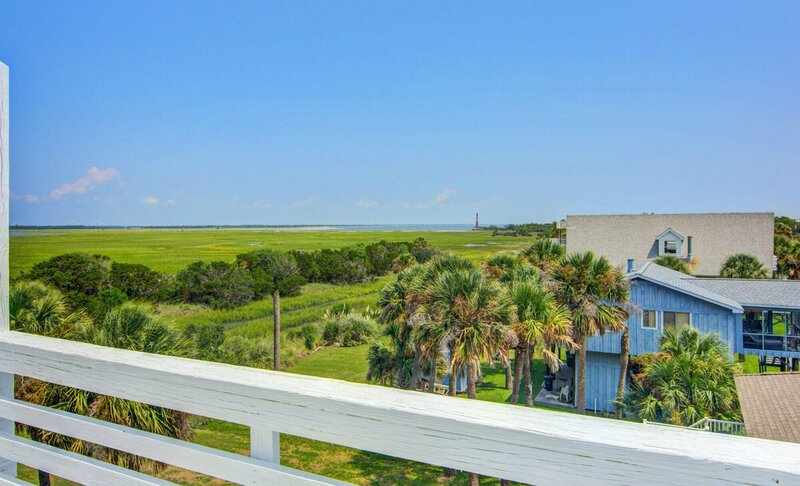 Beach access is just steps away from your front door. 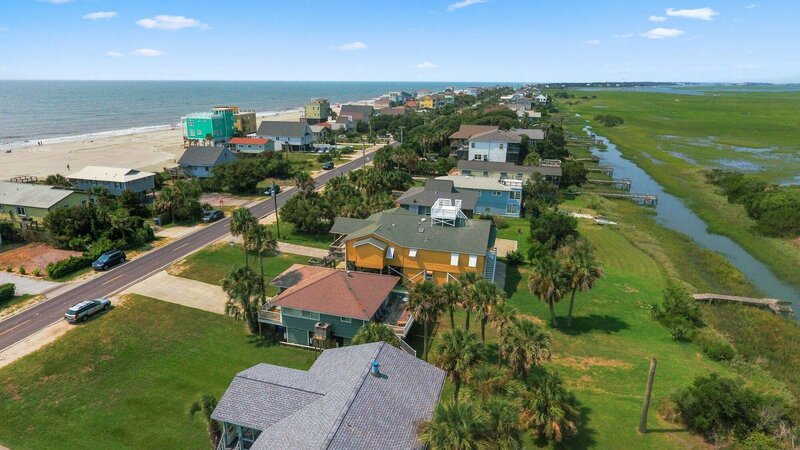 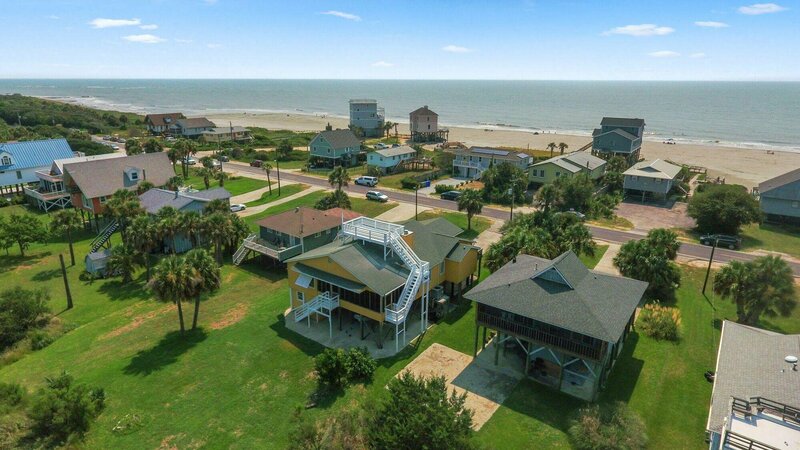 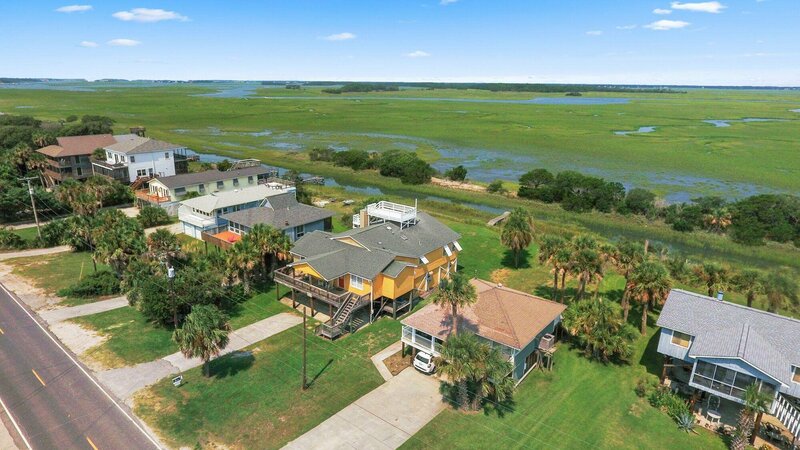 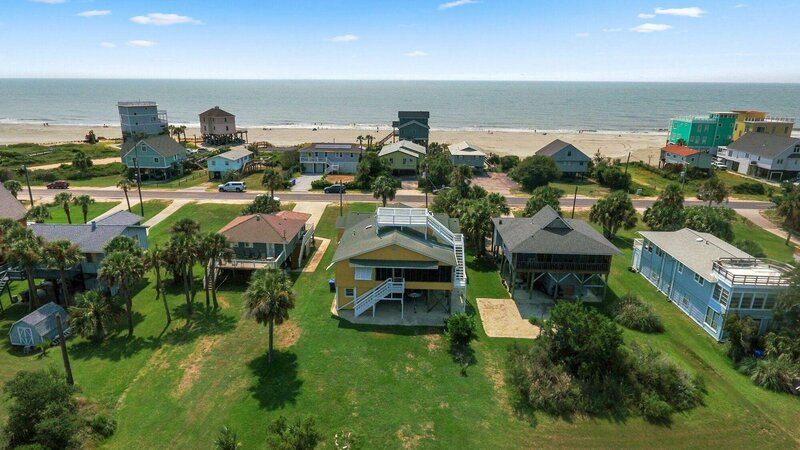 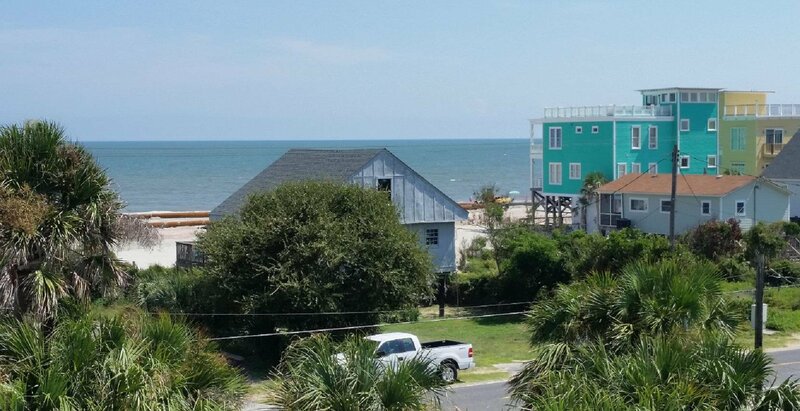 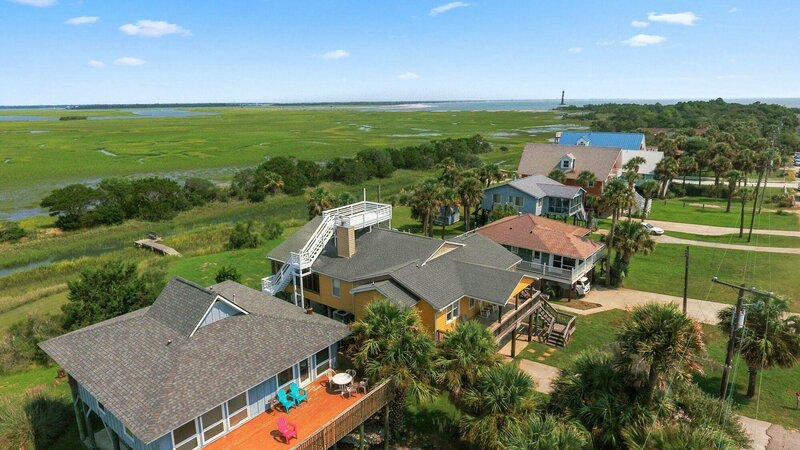 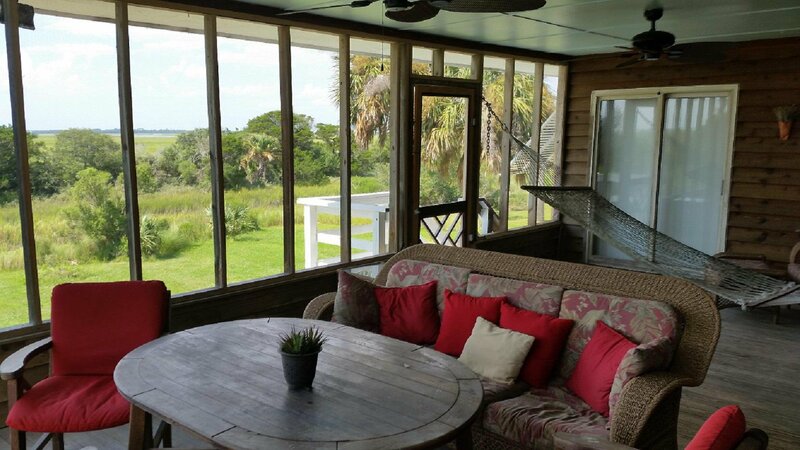 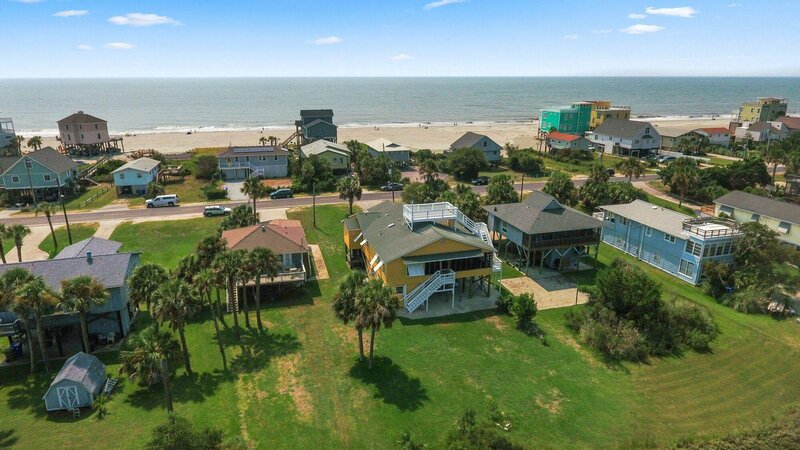 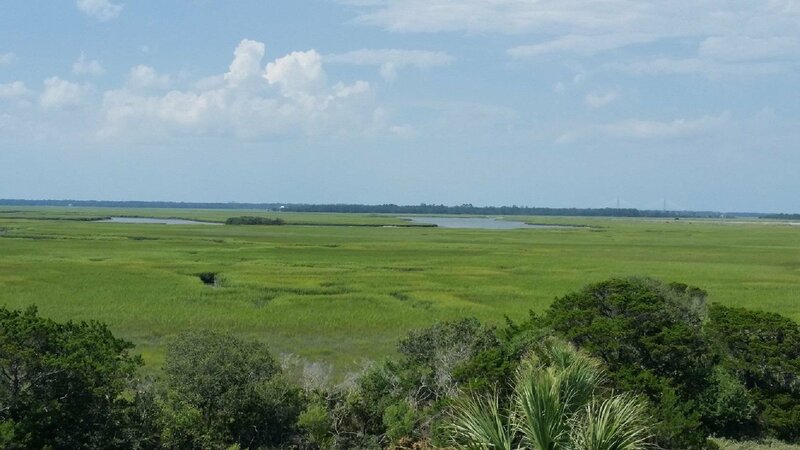 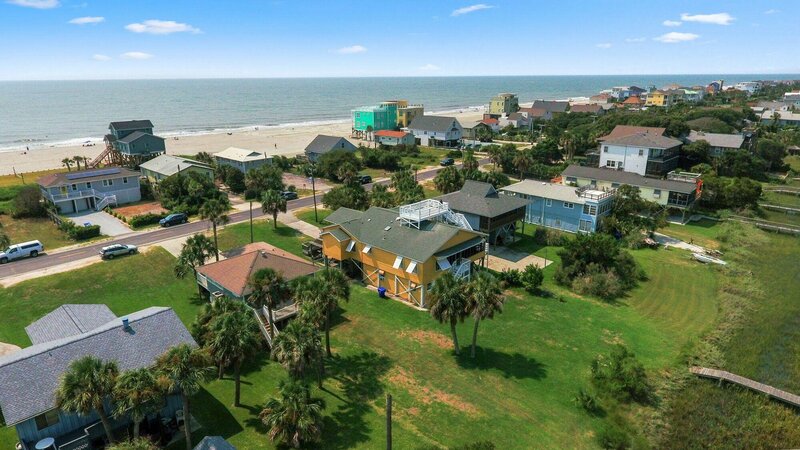 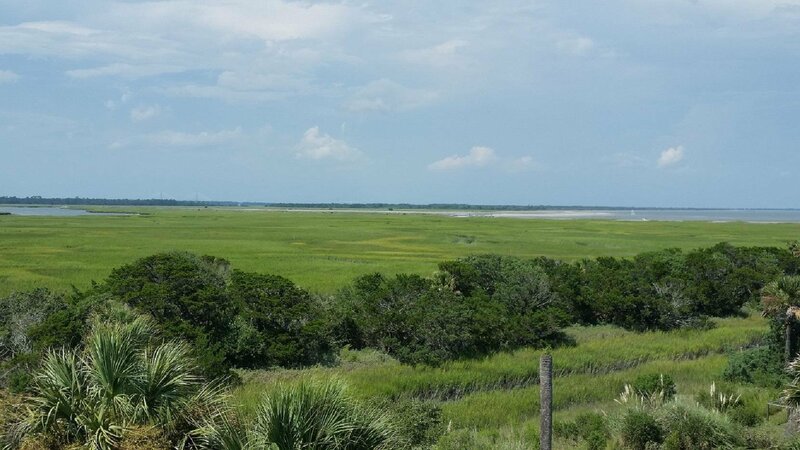 The very east end of Folly offers pristine island living at its best away from the crowds near the washout. 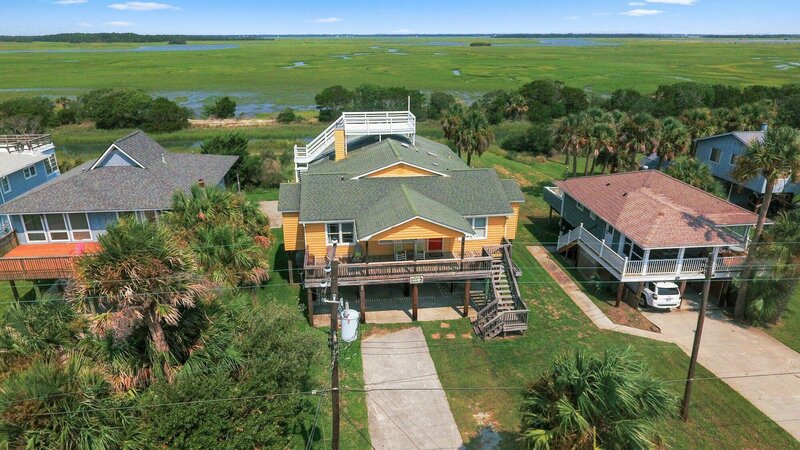 Plenty of parking below the house and a bonus grandfathered in work shop or even mother-in-law suite are below the house as well. 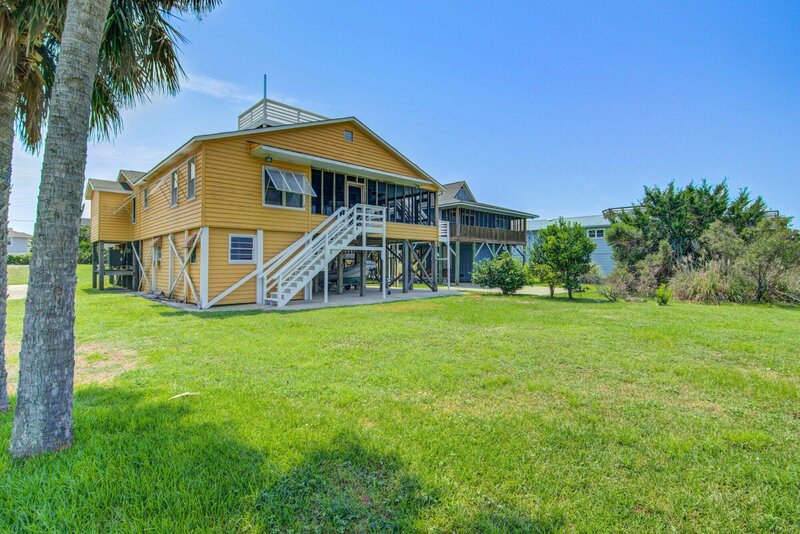 This property has numerous possibilities and you must make it a must see!